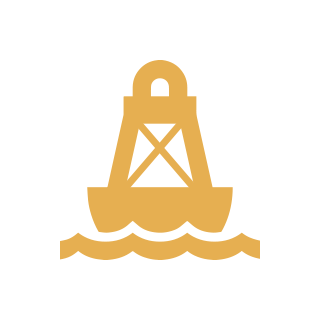 Caritech Group LLC (Caritech) is an engineering and enviornmental consulting company based in the U.S. Virgin Islands. The Principal of the company has over twenty-five years of environmental and engineering experience in the Caribbean. Its clientele include Diageo USVI LLC, Cruzan Rum Distilleries, the Virgin Islands Water and Power Authroity (VIWAPA), the Virgin Islands Department of Planning and Natural Resources (VIDPNR), the Virgin Islands Port Authority (VIPA), the Virgin Islands Waste Management Authority (VIWMA) , the Virgin Islands Paving Company (VIAPCO), the Buccaneer Hotel and Caneel Bay Beach Resort. Environmental Services: Compliance, Assessment Reporting, Coastal Zone Management Pre-application review presentations, Preparation of Major Land and Water Permit Applications, Preparation of Spill Prevention,Control and Counter Measures, Preparation of Storm Water Pollution Prevention, Preparation of Terminal Facility License Applications. 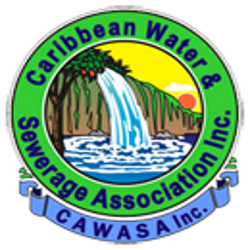 Caritech Group has been selected by the Virgin Islands Water and Power Authority (VIWAPA) to provide Engineering Design Services to replace and upgrade sections of the potable water distribution system in Frederiksted Town, St. Croix, US Virgin Islands. The water infrastructure along many major streets in Frederiksted will be incorporated in the design. VIWAPA’s primary objective is to design a water system that will result in the replacement of approximately 2,800 linear feet of aged 10-lnch Ductile Iron pipe with 10- inch C-900 DR-14 PVC and the replacement of approximately 13,700 linear feet of 6-inch Ductile Iron pipe with 6-inch C-900 DR-14 PVC pipe including all fittings, valves, hydrants, and appurtenances necessary to complete the job in place and return the project area to pre – construction conditions. The ultimate goal is that upon successful construction of this design project, the quality of the potable water delivered to residential and commercial customers in Frederiksted and its environs will be significantly improved. Caritech prepared and submitted a Major Coastal Zone (CZM) Permit Modification Request for the installation of a CHP unit and construction of LPG storage tanks at the Diageo USVI Rum Distillery on St. Croix. This CHP unit serves the dual purpose of providing the distillery’s electrical power needs and supplementing its steam production by burning low-cost LPG fuel.. The unit consists of an aero-derived gasfired turbine and a heat recovery steam generation (HRSG) system. The gas-fired turbine generates 3.8 MW of power and the exhaust (flue gas) from the gas-fired turbine is used to produce additional steam with the installation of the HRSG system. LPG storage facility that was constructed consists of two LPG bulk storage tanks (bullets) each with a storage capacity of 60,000 gallons.